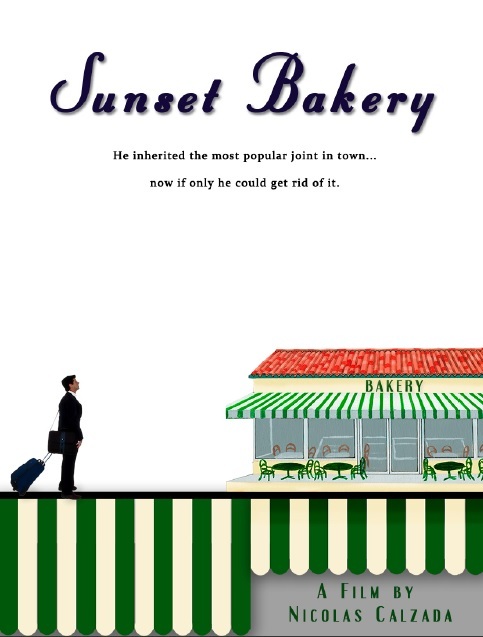 SUNSET BAKERY is a gentle comedy about a hot-shot real estate developer who inherits his father's Miami bakery and flies down with the intention of quickly selling it off and getting out of the hometown he detests. When Miami's legendary inefficiencies get in the way of his returning home, however, he finds that his prolonged stay may transform a lot more than just his business plans. Inspired by the bakery writer Nicolas Calzada's father has frequented daily for over 25 years, Sunset Bakery is a funny, moving ode to cafe culture and Latin bakery culture, written in the tradition of great character comedies like LOCAL HERO and THE BAND'S VISIT. WINNER: Columbus-Vague Production Grant ($50,000), NALIP Writer's Lab Fellowship. Click on Video, left, to view Nicolas Calzada's narrated sizzle reel.